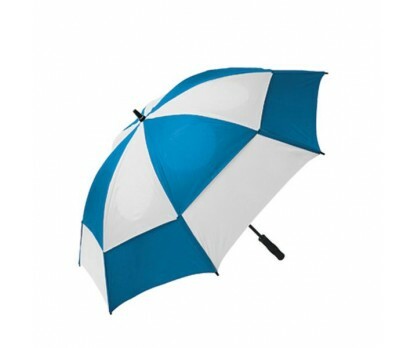 Personalized royal & white 62” arc wind tamer windproof umbrellas can win you a game even before it starts! Yes, this umbrella easily attracts attention with its large 62” arc royal and white colored canopy. 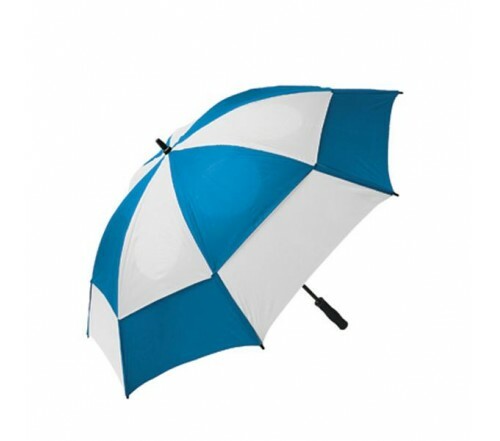 On getting closer it can be observed that this windproof, manual –open umbrella is empowered with fiberglass shaft, fiberglass frames, huge double nylon canopy in royal blue and white combo with windproof frame and EVA rubber handle. Imprint area – 6 ¼” Top X 6” H X 8” W (for upper panel) & 9 ½” Top X 5” H X 12” W.